Who says met guard boots have to be big, clunky, and ugly? That's a thing of the past...nowadays, metatarsal guards are lighter in weight, hidden inside the work boots, and are added to more than just heavy duty leather boots. 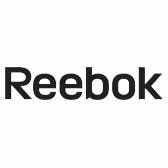 Take these Reebok ZigKick Internal Met ... (see full details) (see specifications) #RB7605. Who says met guard boots have to be big, clunky, and ugly? That's a thing of the past...nowadays, metatarsal guards are lighter in weight, hidden inside the work boots, and are added to more than just heavy duty leather boots. Take these Reebok ZigKick Internal Met Guard Carbon Safety Toe EH Non-Metallic Men’s RB7605 Brown Hiker Boots, for example. Yes, you read that right - we said “Reebok,” the footwear company renown for their comfortable athletic shoes and gear have taken what they know about comfort and added it to durable, hardworking, industrial-strength safety toe boots to give you the best work day possible. You can work confidently knowing your feet are protected by the Flex-Met internal metatarsal guard and enjoy the lighter, roomier carbon base protective toe caps along with the FootFuel rebound energy technology Reebok has to offer. The XTR brand carbon toe caps are extra wide for the most toe space possible. These non-metallic toe caps meet or exceed ASTM F2413 standards with less weight than steel. Non-conductive, these toe caps will not grow cold or hot like steel toe caps will either. Together with the Flex-Met internal met guards, this men's safety footwear is completely metal-free and also meet the ASTM requirements for electrical hazard protection. The athletic performance of these ZigKick carbon safety toe boots and industrial strength of the ZigKick Work design make these hardworking met guard men's boots your best choice for comfort that lasts. The FootFuel Footbeds offer cushioning at responds to your feet, your stride, and your needs. The ZigTech midsoles use shock absorbing propulsion technology to soak in the energy of impact at your heel to spring your feet forward, while the forefoot of the midsole delivers maximum flexibility for take-off. The TPU heel stabilizers ensure a locked-in fit with no slipping for stability in every step you take. The durable rubber outsoles provide the most traction and slip resistance with the lightest weight possible. The XTR brand carbon toe caps are extra wide for the most toe space possible. These non-metallic toe caps meet or exceed ASTM F2413 standards with less weight than steel. Non-conductive, these toe caps will not grow cold or hot like steel toe caps will either. Together with the Flex-Met internal met guards, this men's safety footwear is completely metal-free and also meet the ASTM requirements for electrical hazard protection. So when you need tough internal met guard boots that keep you on your feet and on the go, check out these lightweight, flexible, and comfortable Reebok ZigKick Internal Met Guard Carbon Toe EH Non-Metallic Men’s RB7605 Brown Hiker Boots from Working Person's Store - because no one says met guards have to be heavy and uncomfortable...Reebok can prove it. Reebok Boots: Men's RB7605 EH Internal Met Guard Carbon Safety Toe Brown ZigKick Hikers is being added to your cart.